Did you know that nylon stockings make the ultimate, multipurpose tool? They keep legs warm and physical imperfections under wraps; they are maggot barriers for emerging apples; and, in a pinch, they're nice material for that last minute bungee cord. 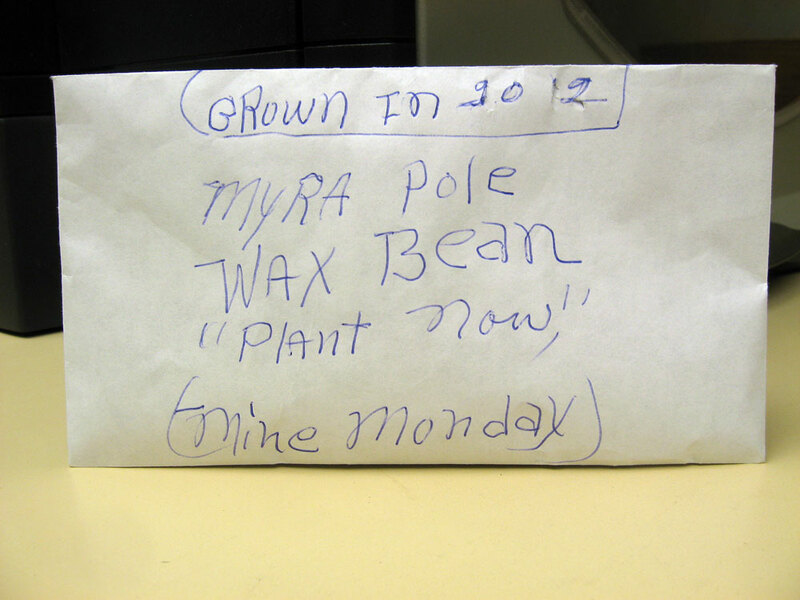 But we at Seed Savers have been privy to a very unsung use for the common pantyhose: they make a darned safe way to mail your prized heirloom seeds. According to one individual, that is, who sent her favorite beans to the organization snug in a box of tights. 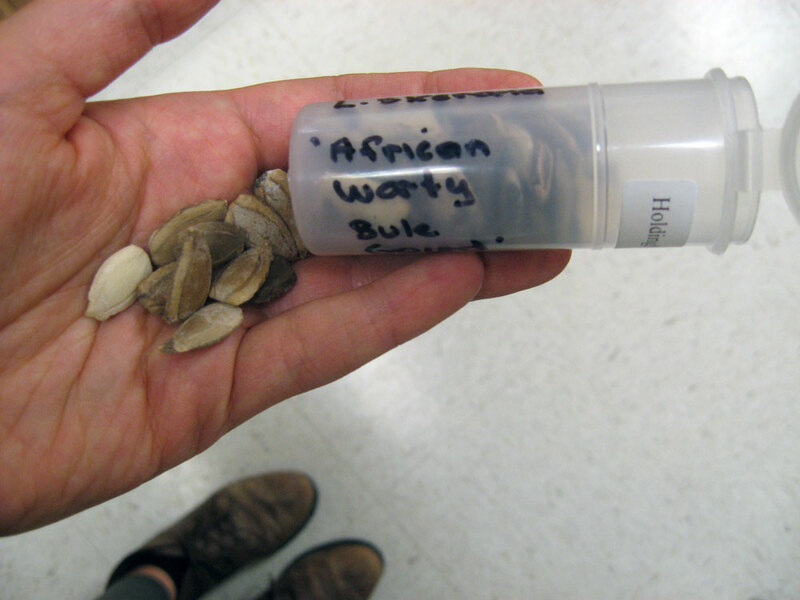 Appropriate containers for seed storage are similar to the donations we receive: glass containers, envelopes, ziplock bags and even clay vessels, although air-tight containers are recommended for long-term storage. 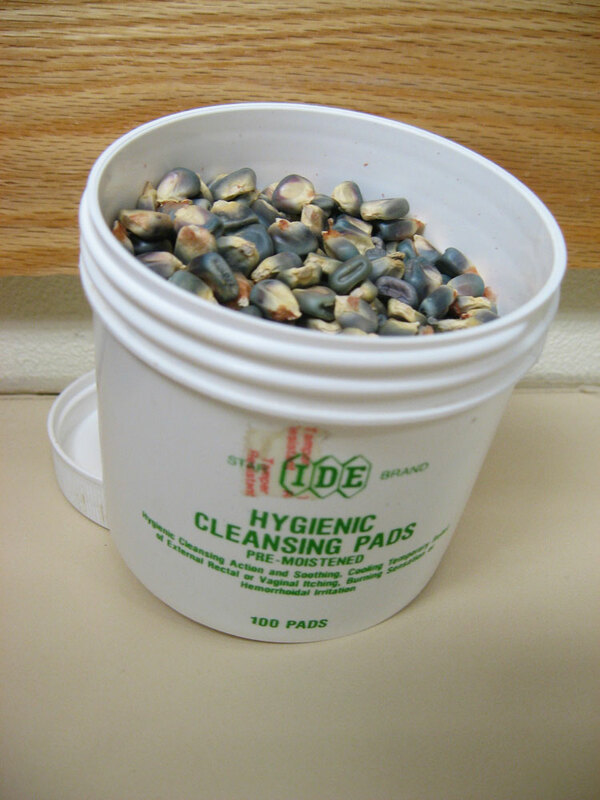 The most important part is keeping seeds cool, dry, and dark - the big three rules to remember in proper seed storage. 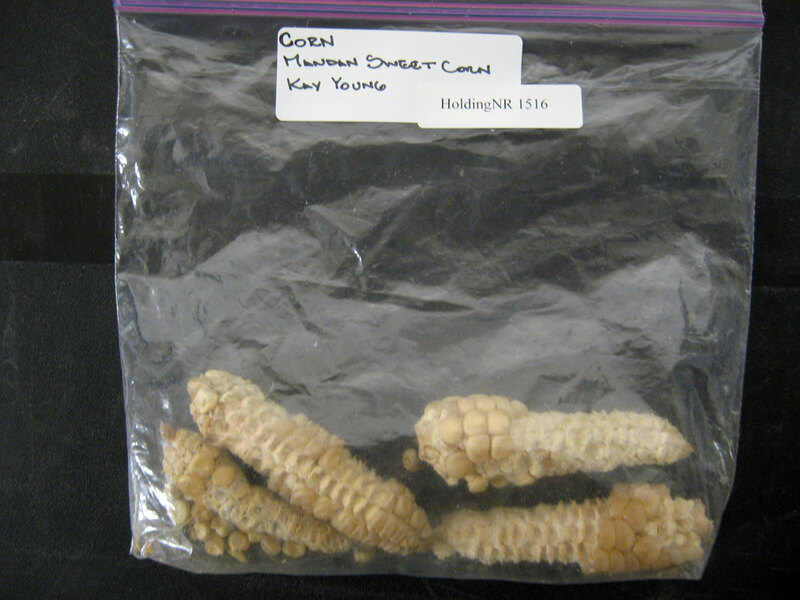 Seeds are embryos encased in a womb shell, or, as the Occidental Arts and Ecology Center explains, “A seed is a plant in a box with its lunch.” Because seeds are alive, they'll inevitably lose viability as environmental factors are wont to encroach. Leaving seeds in the sun on your car dash, lying around the kitchen sink, or left outside exposed to the elements are all liable to negatively impact your seed's viability. By keeping seeds in a steady-state environment, you reduce the chance of them going through environmental peer pressure; they’ll continue to remain viable and well-adjusted. Still, while it's important to properly store your treasured seeds, it's worth noting that seeds in general have evolved to be quite resilient. Some seeds prefer to self-seed (the parent plant is allowed to grow seeds and shed them in-place), like cilantro, but others can be harvested and live in storage longer than expected. A farmer we met in California claims he had forgotten a large grain sack filled with Swiss chard in the back corner of his barn dated from 1995 – he planted the seeds last year, and wouldn’t you know? Near every seed germinated. One of the best places for short-term (<5 years) seed storage—a practice tried and true—is on a shelf in your bedroom closet (Cool, Dry, Dark). Or, if you really want to hedge your bets, properly storing seeds in the freezer may keep them alive and waiting for years and years. Just remember to let the entire container of frozen seeds acclimate to warmer temperatures before opening the package. Also, always label your seeds properly! 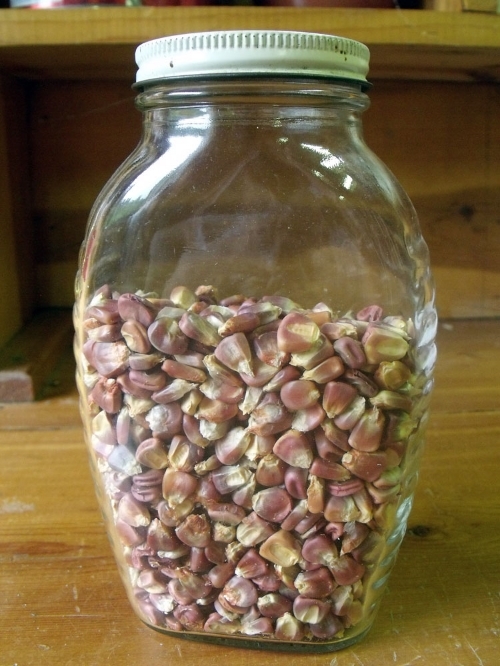 Do you have a favorite place for keeping seeds? Know of any interesting germination stories? Let us know by posting a comment below! 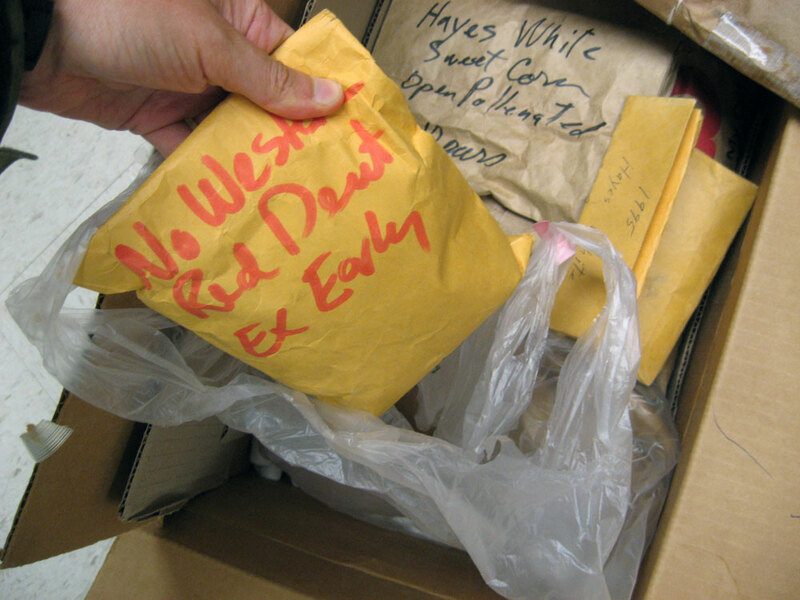 For more information about seed storage, view our seed storage webinar here.